77th Commonwealth Contest 2014 … RECORD RESULTS..AGAIN!! Commonwealth DX galore !! Excellent conditions for pretty well the whole contest made the 77th another one for the record books. A record entry of 309 stations, comprising 118 Open, 133 Restricted and 38 Multi-op. ( 15 checklogs) 5 HQ stations were active to give away extra bonus points. 17 Teams were formed to enter into the team competition, from Australia, Canada, the UK, the Mediterranean, the Caribbean, India, Africa and New Zealand. Travellers visited 8Q,9X, 5B, 5X, C5, 9H, VP2M, ZF, J3, VY2 and freezing VO2. Their efforts were rewarded with good conditions on the higher bands from the start, continuing into Sunday as well. Canada take the top 4 places in the 24 hour Open Section this year. First place and winner of the Senior Rose Bowl is again John, VE3EJ. 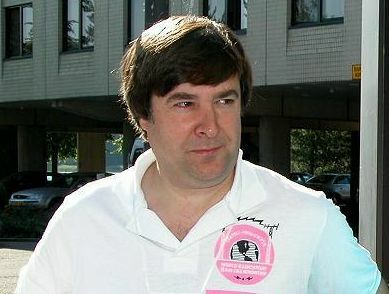 The highest placed UK station was Dave, G4BUO, in eighth place. Highest VK was Kevin, VK6LW , in 10th place, highest ZL was ZM4M. 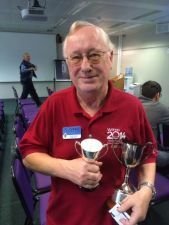 The leader of the 24hr Open section and winner of the Senior Rose Bowl is John VE3EJ with 12,105 points and 300 Bonus QSOs, ahead of Ron, CK3A (VE3AT), with 11,885 points and 292 Bonus. VE3JM, is third with 11,695 with 284 Bonus. The first 6 places are very close with Peter VY2GQ (G3LET) fourth with 11,465 points,VE3OI (10,690) fifth and Ian VP2MXI (10,530) in sixth. In eighth place, the top UK Open section entrant is Dave G4BUO. Dave takes the Col. Thomas Rosebowl with 8945 points and 324 bonuses. Leading VK in tenth place, was Kevin, VK6LW. 40m Moxon and 80m wire beam with a Spiderbeam for HF. Closely followed by Barry, VK2BJ, in eleventh place. And in fourteenth, Steve VK6VZ with his new antenna set up. The leader of the restricted 24hr section and winner of the Junior Rosebowl, is Bob J34G (G3PJT) with 8335 points and 212 Bonuses. Second place fell to Gary,VE1RGB, with 6165 points and 172 bonuses. 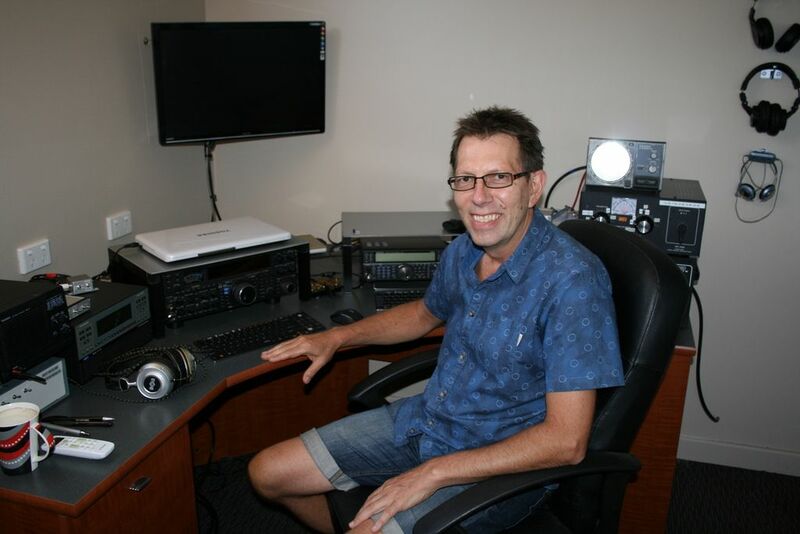 G3TXF operated BERU 2014 as ZF2XF from the same location on Cayman (the excellent ZF1A Club Station) as last year. The original plan was simply to try to better last year’s score and to give out even more contacts from Cayman during the 2014 Commonwealth Contest. 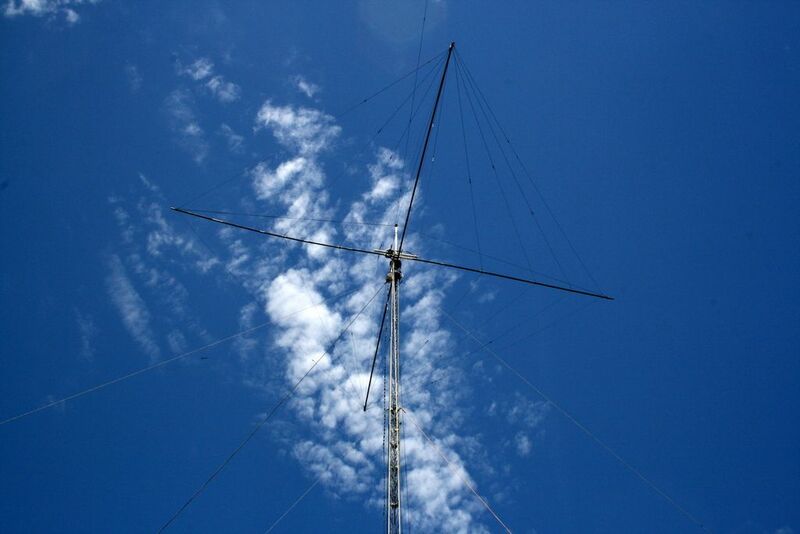 The ZF1A Club Station has many excellent antennas and making a high score in any HF contest from there is not difficult. However this year’s entry from ZF2XF did not turn out quite as planned. There was a problem with the 80m antenna which meant that (apart from a lucky handful of 80m QSOs made right at the start of the contest), there was no operation on 80m. In second place is long time BERU contestant, Lee VE7CC with 9990 points and 292 bonuses. <> Leading UK station was Dave, G3TBK, with 8010 points and 295 bonuses. Five HQ stations, GB5CC (at G3BJ), VO1RAC, ZL6HQ, VE7RAC and VU2PTT added some extra spice to the hunt for bonuses. 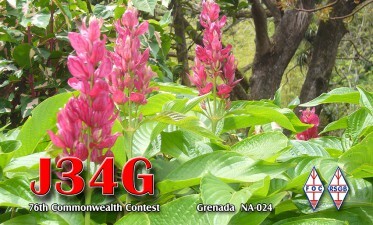 The leading HQ station, GB5CC, made 894 QSOs and scored 11,030 points. Thanks from all of us to the operators at these HQ stations for putting them on. The Ross Carey Rose Bowl goes to Andy, G4PIQ, as the highest placed UK station who operated for 12 hours. Many, many entrants comment on the DX Travellers who each year add so much extra interest to this contest. For many stations this is one chance to work some DX uninterupted by other callers. So we thank all the DX travellers here. You can read their stories . 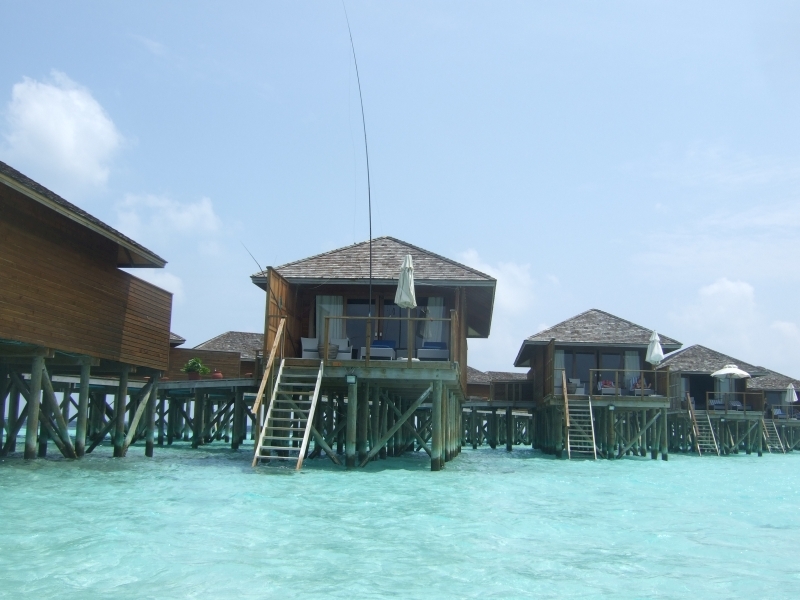 This year the Traveller Award is awarded to Jim, 8Q7EJ (G3VDB) who travelled to Maldives and operated from a hotel room on stilts!. A light weight 100w radio, a fishing pole and some wire is all that is required to have and give a lot of fun. Think about a trip yourself in 2015. The new QRP trophy for the leading QRP entrant goes to Roger, G3SXW ” My first proper effort in BERU (if you can call 13-14 out of 24 hours ‘proper’!) for some years. Delighted to see that this very special contest is in such good health. The commonwealth Medal is awarded to Roy Smith G3MPB as a contender for 2014. 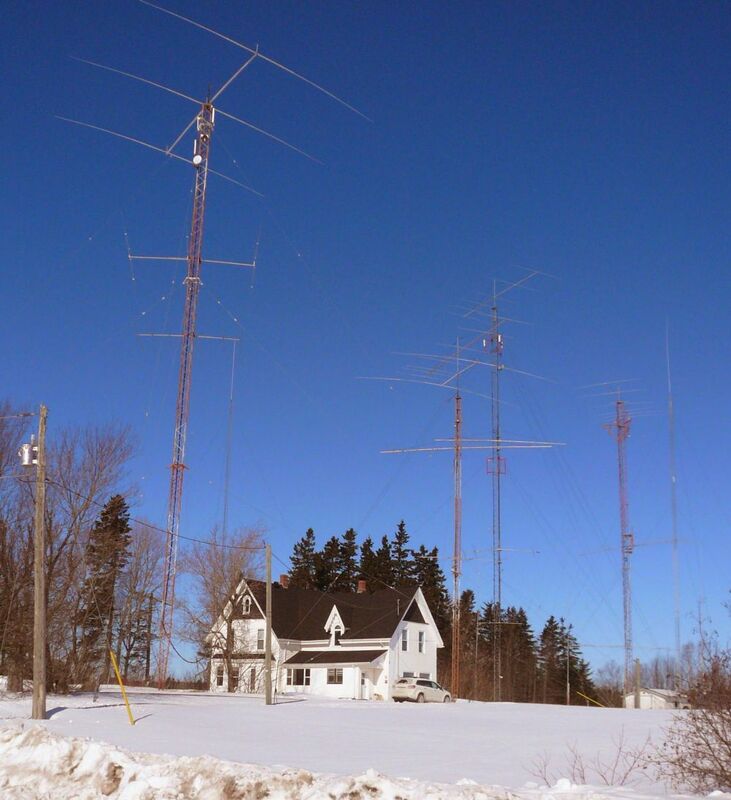 Roy operates from a postage stamp suburban garden and uses 100w to a multiband vertical with single 4 ft ground rod. He has participated in every BERU since he was first licensed in 1956 or 7 and always tries to improve his previous year’s score. He has probably never reached the top 50, but still rises early to catch the VK/ZLs that he can only work when early on the scene. After achieving the DXCC Honour Roll with this outfit, Roy discovered an underground stream that runs beneath his garden, which may go some way to explain the performance of the vertical! 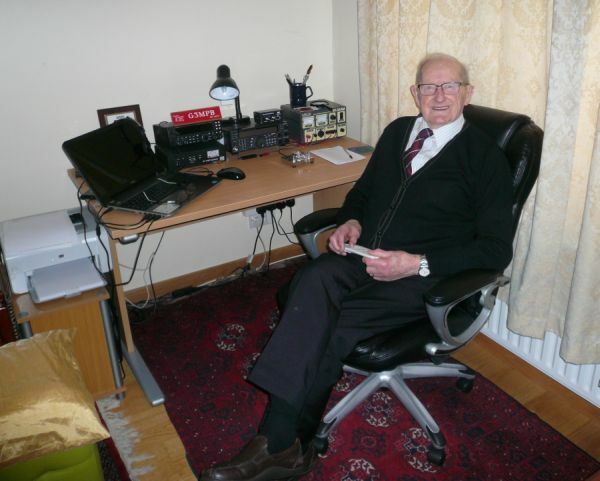 Roy is now 90; during the war he volunteered to join the RAF ‘Y’ squadron and spent 5 years searching for and copying signals from German reconnaissance aircraft. His amazing notes list all the callsigns, details and bases of these aircraft, as well as descriptions of the characteristic morse sent by some of the regular operators. Incidentally, Roy never heard J34G, although he made it to all the other Carib and African stations. We are delighted to see how competitive this part of BERU has become.This year Team Australia just managed to hold off Team Canada Eh?. 17 teams entered the team contest this year. Team Australia 1 made a very determined effort to win the team contest again and their endevours were well rewarded. VK6LW, VK4CT, VK2BJ, VK6VZ and VK7BO had a total points score of 56,565. Team Canada Eh?, VE3EJ, CJ3A, VY2GQ, VE3OI and VO2AA came second with 55,940 – how close is that! with Team Australia 2 third. Entries were received from 5X ,8Q7 ,9H, 9X, C4,C5, G, J3, VE1-9, VK2,3,4,5,6,7,8, P3, VO1, 2 VP2M, VQ9, VY2, VU, ZL1,3,4,6, ZB2, ZF, ZS, 5B, 5H, 7Q7, 9J, 9V, 9M6.The following call areas were active but did not enter logs; 3B9, 4S7, 5N, 5Z4, 8P6, 9L1, 9M2, 9Y4, A2, AP, C6, GD, V3, V44, V5, V85, VK9, VP2V, ZD8. Plenty of Commonwealth DX for the DX hounds to find! A shift is seen this year towards the Multi-op / Assisted section, with 20 more assisted entries than 2013. Log standards were generally good, with few band errors or incorrect times or serials sent occurring . A ZB2 pirate activity was spotted which required much re-scoring. Entrants should note that there is a rule which states that entrants must operate with power levels which are within the limits set by their local radio regulations. Thanks are due to Steve G3UFY for transcribing a number of written logs into the cabrillo format. Checklogs from many participants for which many thanks!Comments and/or queries about the adjudication may be addressed to commonwealth.contest@rsgbcc.org or to secretary@rsgbcc.org . The 78th Commonwealth Contest will take place from 14th to 15th March 2015.
. More details later. 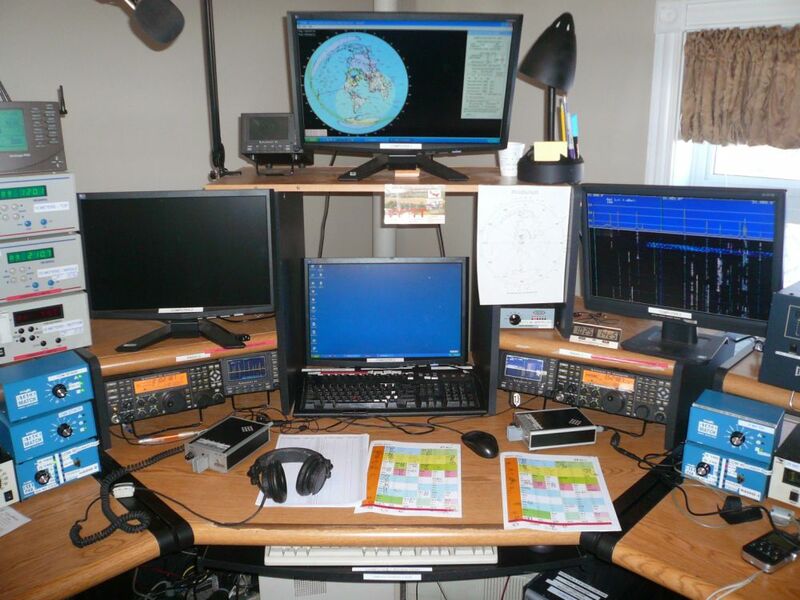 Why not make plans for a DXpedition.